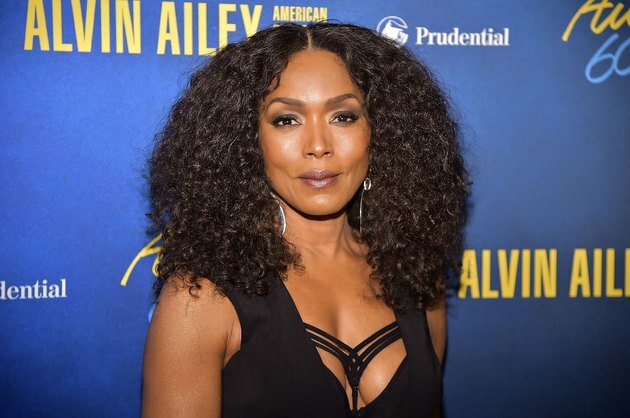 Angela Bassett is living proof that age is just a number, because at 60 years old, the "9-1-1" star looks absolutely sensational. Whether she’s flashing her enviable abs in a bikini or rocking the red carpet in a form-fitting dress, the screen legend kills it every time — and we wanted to know how she does it. It’s almost impossible to believe Bassett has been gracing our screens for more than 30 years, and yet still looks as though she’s barely aged a day. Her youthful complexion and super-fit physique continue to turn heads, but she insists it’s not, as she puts it, the result of crazy 4 a.m. workouts. So what does the actress do to stay in such incredible shape at 60? We knew the outspoken beauty couldn’t look this good by sitting on her couch eating potato chips all day. No way — in fact, Bassett mostly credits what she eats for how she looks. This means the actress packs her breakfast, lunch and dinner full of all things good — especially when she’s in training for an action movie like "Black Panther." “I cut out the sugar, the alcohol and the bread and eat a lot of protein and veggies,” Bassett revealed to Violet Grey about times when she's at her most strict with her eating plan. But it gets a whole lot more detailed than that. During an interview with TV host Laila Muhammad, Bassett broke down her eating regimen further — and it involves switching things up to keep her body guessing. Bassett insists it’s "good fats" though, praising the likes of coconut oil, salmon, olive oil and almonds (one of her favorite go-to snacks). Oh, and another big rule Bassett sticks to: She stays away from dairy foods. Even when it comes to her morning oatmeal, she opts to make it with water and a sweetener of her choice, rather than mixing it with milk. Bassett might look like a fitness machine, but it’s refreshing to know she’s only human — and doesn't mind indulging in a few guilty pleasures now and then when her work-training schedule allows. "Red wine and cake," she confessed during an interview with the Los Angeles Times in 2016. "That's a terrible combination! Not together. Red wine with chips. And cake." Bassett is also pretty great at making healthy alternatives of the not-so-healthy foods she loves. There’s no denying Bassett is motivated to to keep her body in the best shape possible, and when she has her personal trainer Corey Calliet at hand, he really puts her through her paces. In fact, Calliet is the one who helped fine-tune her already-fit physique for "Black Panther" with 45-minute or hour-long circuits — which included power exercises like mountain climbers, jump squats, lunges, push-ups and high knees — five times a week. "You do each movement for 30 seconds, then you take a break, get the heart rate down to get it right back up,” Calliet told People.com. “The reason why I like doing it so much is because it's the fastest and the most effective way to burn fat... I don't give too many breaks, unless you're about to puke, faint or die," he added. When Bassett embarks on circuits, her hard work continues to pay off post-workout: Research published in the European Journal of Applied Physiology in 2005 showed that circuit-training workouts prompted a higher degree of post-exercise excess oxygen consumption — otherwise known as EPOC — than traditional cardio workouts, meaning she carries on burning calories for longer after her epic sweat sessions with her trainer. Bassett values her beauty sleep too much to get up at the crack of dawn to exercise, but that doesn’t mean she doesn’t favor an early morning workout. When she isn’t hitting circuits with her trainer, Bassett ensures she moves her body throughout the day — even when she’s on the road. While we might find it difficult not to marvel at how fabulous Bassett looks at age 60, the star says she doesn’t understand what the big deal is. No, we just think hard work should be rewarded with a well-deserved compliment... or 10!